Quintech Electronics & Communications, Inc. has reported that their NEXUS-4 16 port mesh test matrix switch has been delivered and installed in a major government contractor’s Software Defined Radio (SDR) systems laboratory. SDR technology uses software to replace certain hardware components in order to offer increased flexibility and reduce costs in radio systems, and is used in wireless civil and military applications such as avionics, communications, navigation, surveillance, electronic warfare, and space. Quintech’s NEXUS-4 mesh test matrix switch passes channels with a frequency range between 200 MHz to 4000 MHz and allows any of the 16 ports to connect to any or all of the remaining 15 ports. All configurations from full mesh connectivity to a string network can be changed in seconds by loading saved configurations. The NEXUS-4 16 port mesh test matrix is field upgradeable to 32 ports. Integrated 0 to 60 dB variable attenuators allow the user to independently vary the signal levels between ports. 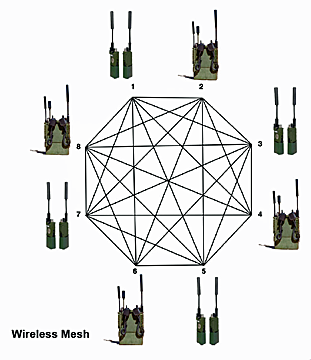 Quintech also offers an 8 port mesh test matrix with extended frequency range of 600 MHz to 6000 MHz, covering applications utilizing 3G, 4G/LTE and WiFi technologies. WiFi mesh networks are rapidly growing in use for Internet of Things (IOT) in-building applications as well as other intelligent IOT network applications, e.g. smart lighting, security and safety systems. Quintech’s Laboratory Automation And Management Platform, Q-LAAMP®, is a software package used with NEXUS RF Matrices that significantly increases lab efficiency and reduces test time, enabling cost savings and faster time-to-market. According to David Chan, Quintech Electronics’ VP of Sales and Marketing, the NEXUS-4 mesh test matrix was selected by the global security company for their SDR transmitter development to exploit its capability to rapidly change network configurations to emulate real world deployment scenarios. The integrated programmable variable attenuators allow the user to replicate joining, leaving, grouping and splitting of mesh radio networks. These tests help ensure that the SDR transmitters will function under rapidly changing conditions.